As I caught a glimpse of the Sydney Opera House from the plane window, I didn’t feel the same sense of excitement as I had when I first arrived in Sydney all those months ago. Instead I felt a sense of relief flooding over me: ‘Ahh, home’. Wanting to get back to Bondi as quickly as possible, I jumped in a cab and soon I was back in the comfort of the Bondi Beachhouse YHA. As I checked into my room, I got talking to two girls who had just arrived in Australia. I could sense their eagerness to chat and make new friends – it reminded me of myself when I had first arrived, but all I could think of was how much I wanted to see Louis. Since I’d left, he had moved over to Noah’s Backpackers – home to ‘The Shack’ – the backpacker bar I had worked for over the summer. Feeling a little apprehensive (it had been two months since I last saw him), I invited the girls to head over to the bar with me. I text Louis to let him know we were on our way and as we arrived, I saw him heading down the steps to meet us. We both instantly started grinning and I knew then that I didn’t have anything to feel nervous about. Being back in Bondi made me realise how much I wasn’t really ready to go home but with my flight booked for the start of July and no job on the horizon, it wasn’t looking like there would be a possibility for me to stay. Reluctantly, I headed to TravellersXpress – a travel company who help backpackers organise trips or, as was the case for me – help them to claim tax back from work done whilst in Australia. Luckily for me, the owner was covering the Bondi store that day and when I got chatting to him about my trip, he seemed to sense that I wasn’t all too happy at the prospect of heading home. He started to ask about what kind of work I had done in the past and when I mentioned my role at a PR company, he began to tell me about a position he was hiring for within the company. I honestly couldn’t believe my luck – out of nowhere I was being offered my dream job – editing a travel magazine and helping to promote his range of stores across Australia! He invited me back for an official interview the next day and when he offered me the job, I knew I wasn’t meant to leave. I cancelled my flight immediately and emailed my friends and family to tell them that sadly, I wouldn’t be coming home just yet after all! I was truly ecstatic. Unfortunately after our initial excitement to see each other again faded, things with Louis eventually fizzled out. We began arguing and, with him set to leave for New Zealand in a few weeks anyway, we decided it would be better to remain as friends. Luckily Caroline arrived back in town at roughly the same time and so I had my partner in crime back to cheer me up. We rediscovered our old haunts; Gusto for the great coffee, Ravesis for cocktails and Tamarama beach when we wanted to escape the crowds of Bondi. However with me busy at my new job, I didn’t get to see her quite as much as I would have liked before it came time for her to leave Bondi for good. Before Caro had arrived back in Bondi, I had made friends with a Scottish girl called Hazel and a couple of others from the hostel, who were all heading to the opening of a new bar – The Bavarian Beer Café– that night. So, once we had finished dinner, we took a walk down the parade to join them. Over the next few weeks, Rich and I became pretty much inseparable. 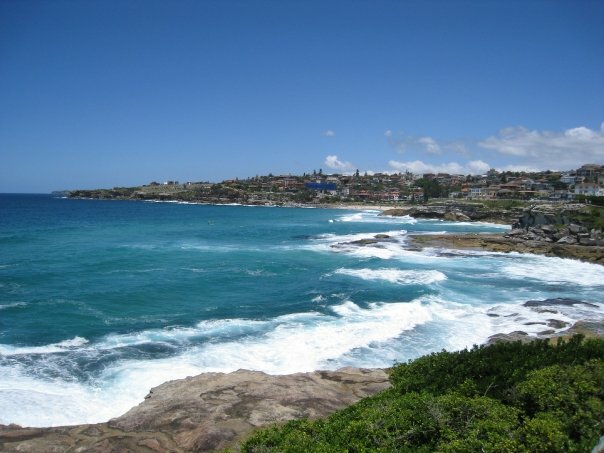 After I got home from work each day, we would head off for a run along the coastal paths from Bondi to Bronte and he would fill me in on the gossip I had missed out on over the day. Once back at the hostel, we would flirt away whilst making dinner and then cuddle up in the TV room when it was too cold to venture outside. Our group of friends watched on knowingly, waiting for something to happen between us but I was determined to stay single, for now at least. Although it was meant to be winter time in Sydney, the temperature told us differently and so our group would venture to the beach most weekends. We’d play rugby on the grass, throw some burgers on the bbq and then head for a swim to cool off. When August arrived, Rich left Bondi for a while to visit his brother and younger sister in Thailand. In reality, he was only away for two weeks but it felt like much longer. During that time, I had moved out of the hostel and into an apartment on Campbell Parade. It was much better having a room of my own whilst I was working but I missed the companionship of having a group of friends around and most of all, I missed Rich. It was then that I realised that perhaps I liked him as more than a friend. Rich arrived back just in time for his birthday celebrations, so a group of us headed out to Kings Cross to mark the occasion in style. I was expecting Rich to continue flirting with me as usual but he was all together cooler. The next day, when I asked him what was wrong he harped back – “Nothing, I just don’t fancy you anymore!” Ouch. I was stung by his comment, but I couldn’t blame him – I couldn’t really expect his undivided attention if I kept insisting we were ‘just friends’. The next weekend, I headed over to the hostel for what had become a routine Friday night – a bbq in the courtyard, followed by drinks in the TV room, then onto one of the bars in Bondi. It was like summer all over again! 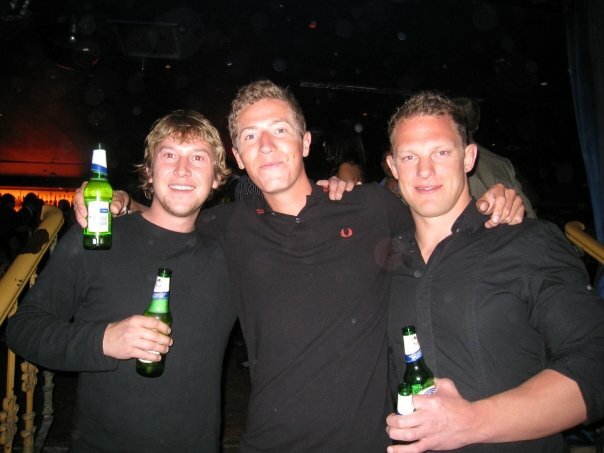 Rich wasn’t around that evening – he’d gone out with some friends from work instead. I tried to enjoy myself but I kept thinking about his comment from the weekend before. Greg – one of our mutual friends noticed that I was being particularly quiet and asked if I was ok.
Greg – You’re missing Rich aren’t you? Greg – I knew it! Greg was straight on the phone to Rich, so much for subtlety! After that, Rich and I stopped pretending to be just friends and when my contract with the magazine was up at the start of September, we moved into an apartment above Bondi Social and he asked me to be his girlfriend. Greg had also moved into the apartment with us and soon started dating Rachel, one of the girls staying at the hostel. Jo and Will arrived back in Bondi not long after and moved into a flat just a few streets away – the Spring was ours to make the most of. 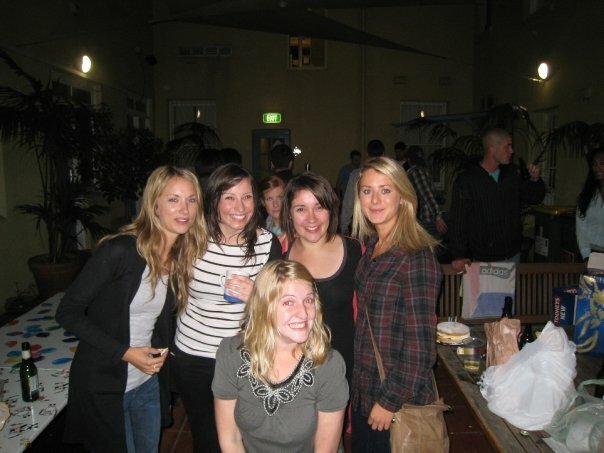 The six of us would spend our weekends having bbqs on the beach and discovering new bars down the back streets of Bondi. Everyone was keen for the fun to continue into the summer but in the back of my mind, I knew that my one year visa was set to expire.